From farmland to mill village to diverse shopping district … Ninth Street’s rich history is more than 100 years in the making. The West Durham area that Ninth Street serves was once the Rigsbee family farm – six hundred acres of tobacco, corn, sweet potatoes, and – down by Ellerbee Creek – pigs. 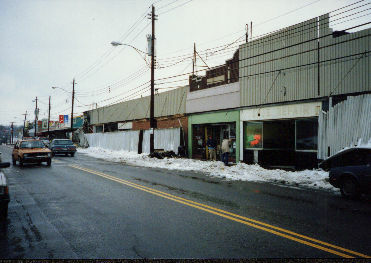 In 1892, the Rigsbees sold the northern section of their land for construction of the Erwin Cotton Mill which would produce muslin tobacco bags and later, denim. Before the mill commenced operations in 1893, the area around the mill was sparsely populated but for the Pinhook settlement, established in the early 1800’s as an area of questionable repute, known for its grog shops and brothels. As the mill boomed onto the scene, more merchants settled in the area, populating what is now Ninth Street with a bootmaker, two grocers, a general store, a drugstore, and a watchmaker – a barber came along to round out the scene in 1902. By that time, the mill had over 1,000 workers and West Durham had become a mill village where merchants and mill workers – black and white – lived and worked side by side. 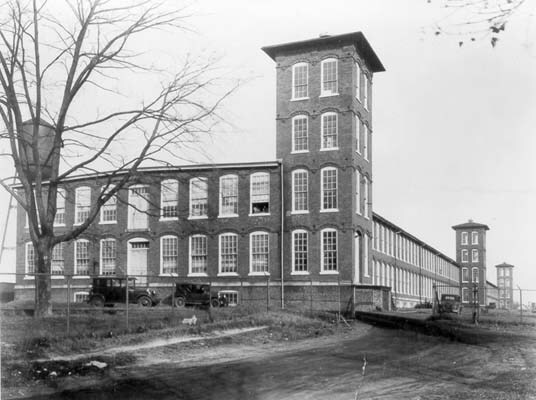 After 103 years of operation, the mill’s final year of production was 1986. Though the remaining mill building across from the Ninth Street shops now houses condominiums instead of spindles and looms, there are current businesses that bridge the gap between those textile mill days and the Ninth Street of today. McDonald’s drugstore, opened on Ninth Street in 1922, closed its doors in 2003, but many West Durhamites recall the taste of their out-of-this-world milkshakes. Barnes Supply opened in 1946 and is still proudly serving the community. Other area merchants who remember the mill days are the eclectic gift shop Vaguely Reminiscent and Triangle’s oldest independent bookshop The Regulator. Preceded by the Regulator Press which published political news for organizations such as the Triangle United Farm Workers Front, The Regulator ushered in a more progressive era on Ninth Street. Vaguely Reminiscent opened just one year after The Regulator, and the early workings of Durham’s Pride Parade began in the tiny shop as a response to the backlash against mayor Wib Gulley’s 1986 anti-discrimination policy. Several Ninth Street merchants helped to galvanize the community in support of the anti-discrimination policy, starting with a political march that, over the years, has transformed into Durham’s Pride Parade – a joyful tradition of diversity that takes place every September. While gas stations have become gift shops and banks have transformed into restaurants, the Ninth Street character remains – friendly, distinctive, and community-minded. Now, students at EK Powe Elementary School – named for the general manager of Erwin Mills – can still walk across the street for an afterschool treat like they did nearly a century ago – but instead of penny candy from Scarboro’s Food Store, it’s a donut from Monuts. We’ve come a long way since those early days of pigs and sweet potatoes and the Pinhook. But a lot of that original Durham character is still there – we’re resilient and progressive and independent – and sometimes, we even enjoy a little revelry and disrepute. Thank you to the Durham County Library, North Carolina Collection and the Old West Durham Neighborhood Association for the use of the historical photos.